It took me some time to set up Cordova without Eclipse. Finally I found android terminal quickstart, which mostly boils down to making sure the Android SDK is living somewhere, its tools/ directory is in your path, and ditto for Apache Ant, the build tool. After that you only really need to do ant debug install from the android/ directory meanwhile making sure your Android phone is connected through USB. I coded some basic Android stuff and I can say it's nice to get more into JS. I helped Kenny to set this stuff up on his Windows machine so then I was ready to rethink server stuff. So I started looking at Node.js again. Well, again, I only briefly played with it for an hour or so. Now I was more decided to take this to an interesting level. And interesting it is! I started fooling around with Express.js, meanwhile checking out some more goodness that's around. Pedro Teixeira's tutorial videos have been really helpful. But I also came across fun things such as Now.js, which deserve a bit more attention in the short future. And meanwhile my arm feels as if it's new. I can't wait till next year for the Google Glasses... 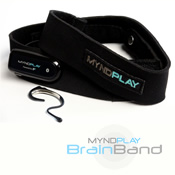 So meanwhile I ordered the MyndPlay BrainBand.